Air Optix Night and Day Aqua lenses are designed to be worn continuously for up to one month. This package contains a 360ml bottle of Gelone solution. Air Optix Night and Day Aqua contact lenses are designed to be worn for up to one month. 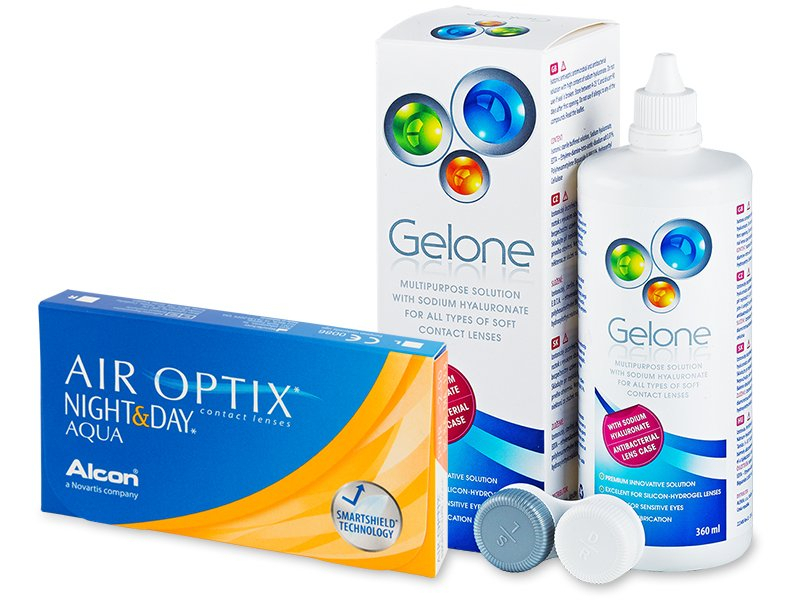 According to the producer, Alcon, these contacts can be used for daily wear (insert them in the morning and remove them in the evening), but they are also approved for continuous wear for some users. That means that for up to 30 days and 29 nights, you do not need to remove the lenses at all. Air Optix Night and Day Aqua contact lenses are exceptional for their high oxygen permeability, which assures that the cornea receives a sufficient supply of oxygen, even during sleep. Each pack contains six lenses.